To ensure the provision of end-of-life care is relevant to individual communities, it must not only reflect the needs of the dying person and their family but also the diverse geography and cultures in which they live. Studies consistently report that rural residents perceive themselves as different to their urban counterparts and clearly hold distinct views on what it means to die well. Currently there is no international consensus on the definition of rurality and remoteness. Rural settings are not homogeneous, and there is considerable individual, cultural, and ethnic diversity both within and between rural locations. Rural communities are close-knit, and known for their social solidarity, community commitment, and loose support networks. While there are many benefits of rural residency, significant challenges exist in the provision of quality end-of-life care. The needs of rural residents are shaped by decreased access and availability of services. While this potentially has a negative influence on outcomes, it is offset by local support networks. Rural palliative care is mostly primary care, with limited access to specialist multidisciplinary palliative care services. Home is the initial preferred place of death for most rural residents; however, when home is not possible, rural hospitals and residential aged care are considered appropriate alternatives, providing they are within ones’ community. The universal rural theme is that if rural residents are unable to die at home, then it is essential that their place of death is within their local community. Australian Government Department of Health. Report on the audit of health workforce in rural and regional Australia; 2.5.2 Trends in population ageing. 2008. http://www.health.gov.au/internet/publications/publishing.nsf/Content/work-res-ruraud-toc~work-res-ruraud-2~work-res-ruraud-2-5~work-res-ruraud-2-5-2. Accessed 15 Jul 2016. Australian Institute of Health and Welfare (AIHW). Rural, regional and remote health: a guide to remoteness classifications. Rural health series no. 4. Cat. no. PHE 53. Canberra: AIHW; 2004. http://www.aihw.gov.au/publication-detail/?id=6442467589. Accessed 19 Aug 2017. Cottrell L, Duggleby C. The “good death”: an integrative literature review. Palliat Support Care. 2016:1–27. https://doi.org/10.1017/S1478951515001285. Rainsford S, MacLeod RD, Glasgow NJ, Wilson DM, Phillips CB, Wiles RB. Rural residents’ perspectives on the rural ‘good death’: a scoping review. Health Soc Care Commun. 2016b. https://doi.org/10.1111/hsc.12385. World Bank. Rural populations. 2016. http://data.worldbank.org/indicator/SP.RUR.TOTL.ZS. Accessed 3 Sept 2017. World Health Organisation (WHO). Global health observatory data. 2014. Accessed 3 Sept 2017. http://www.who.int/gho/urban_health/situation_trends/urban_population_growth/en/. World Health Organisation (WHO). 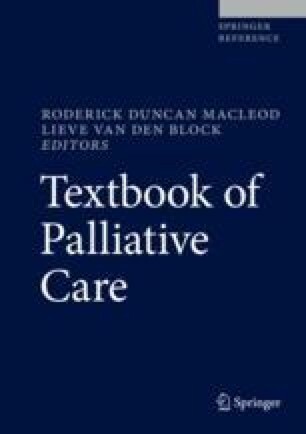 Palliative care, Fact sheet N°402 2015. http://www.who.int/mediacentre/factsheets/fs402/en/. Accessed 3 Sept 2017.